on the body. 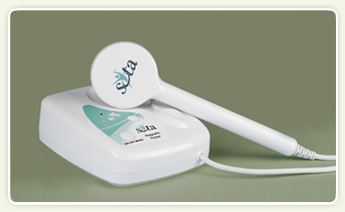 The SOTA Magnetic Pulser offers two modes - Regular and Fast - and also has an automatic timer. I’ve got to say: The Magnetic Pulser is my go-to machine! "We have been using a Magnetic Pulser for more than 10 years with excellent results. Thanks so much for your technology." I've been using the SOTA Magnetic Pulser for over fifteen years, and have not had one problem. This sturdy product is worth every penny. In comparison to much more expensive products I've used, the relief I've gotten from the SOTA Magnetic Pulser is far superior. "Having found the Magnetic Pulser, is like manna from heaven." When I started using the Magnetic Pulser, not only was it a game changer, it was miraculous. "The Magnetic Pulser changed my life." "The Magnetic Pulser is like Magic! I use it all over - it really works. Thank you for having such a wonderful company with wonderful products." It wasn't until I used the Magnetic Pulser that I saw dramatic change. Thank you very much for producing this near miraculous unit. I am very grateful for it. "I am so grateful to have the Magnetic Pulser to help with so many different conditions in my family. Thank you very much SOTA!!!" My Magnetic Pulser is one of the most important pieces of equipment I own. I use it for so many different applications it would be impossible to replace it with something else. "Thanks! It's always a really good experience to interact with SOTA, not to mention the high quality of the products and incredible results. I cannot live without my MP [Magnetic Pulser]!" I have loaned my Magnetic Pulser out to others many dozens of times. I believe in it 100 percent! My Magnetic Pulser has been a great boon and I would be very unhappy if I did not have it. It has contributed greatly to my life. Keep up your great work! "The Magnetic Pulser I purchased some time ago, and Silver Pulser are still in use. The quality is excellent. They have helped many people." "We received the Magnetic Pulser yesterday, and it was as if my mom was welcoming an old friend back! Thank you so very much for all SOTA did to make it like a brand new unit. I deeply appreciate that you extended this wonderfully kind gesture to my mom. I know that SOTA products are all made so well. Thank you. It is so unusual in the times in which we are living to find a company with so much integrity!" What a difference! Our vet could not believe it. Thank you for your incredible unit—the Magnetic Pulser. "I am sending two more people to your site to buy the MP6, since it has worked so well for my fiancé. I am very impressed with the customer service, as well as the products." "My 15 year old lab has a daily treatment with the Magnetic Pulser. It helps her to relax as well as providing comfort. Thank you for this amazing unit." I'm really impressed with how well this [Magnetic Pulser] is made. It's not just made to pulse… it's made to last! How can you make them any better?!! [Your products are] awesome wellness tools and health maintenance tools as well. "My dietary changes helped but it was the Magnetic Pulser that really turned it around for me. ...Within days of using the Pulser, I noticed a difference."